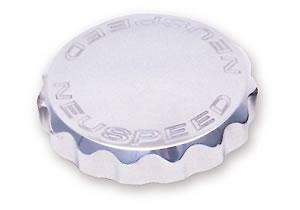 The NEUSPEED strut bearing cap set is CNC machined from a solid block of 6061-T6 aluminum. Features an engraved NEUSPEED logo and a highly polished finish. Covers the top of your factory strut bearing for a more attractive appearance to your engine compartment.